If you were around the Carson Valley in the 90s and 2000s, you will remember Fiona’s Restaurant. This building once housed some of the finest dining in the town of Minden, but its roots run back way before its time as a restaurant. Originally built in 1919, the first use of the building was as a grain warehouse. The railroad tracks ran right behind the building at that time, and the highway right in front, so this was a perfect place to build a warehouse. In fact, it was one of several warehouses along those tracks. Throughout the 20th century it was known as Graunke’s Warehouse, after one of its first owners, and the building served various industrial purposes. Over the years it was used to store grain, hay, wool, and even an ice company. It went through several owners, including future Nevada State Senator Lawrence Jacobsen. 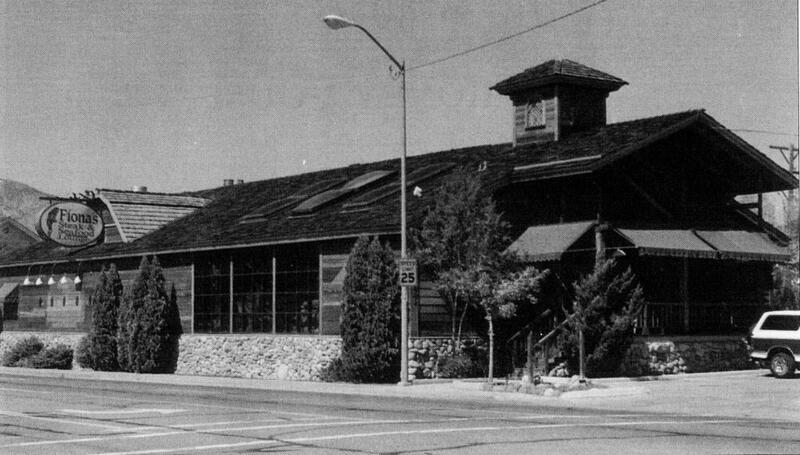 In 1982, Minden and the Carson Valley had grown enough that warehouses were no longer needed right in the center of town. So this building was remodeled to become a restaurant. It first opened as The Atrium. It lasted a few years under that name before closing. While it was operating as The Atrium, a new casino opened next door, the Carson Valley Inn. After the building was vacated, CVI saw it as a good spot to expand into. They took over the building and opened Fiona’s in 1988. Fiona’s lasted in this location nearly two decades. It became as much of a landmark along Hwy 395 as the Carson Valley Inn or the silos of the flour mill. But around 2006 the Carson Valley Inn decided that they wanted to bring their restaurants in-house. They moved Fiona’s out of the old warehouse building and relocated it to the main casino floor. A few years later, new ownership came to the casino and the Fiona’s name was retired as the restaurant was rebranded CV Steak, which it still is today. That wasn’t the end of the story for the old warehouse, though. A vacant restaurant in a prime location proved to be an attractive target for the Saletti family, who had operated restaurants in California but had recently moved to Minden. 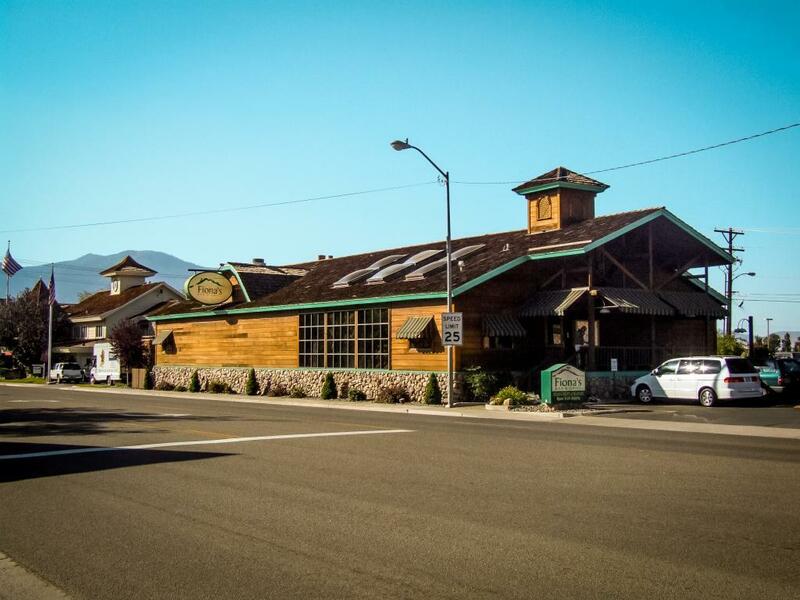 In 2007 they reopened the building as Saletti’s restaurant, still providing fine dining to the Carson Valley. Saletti’s lasted just about a decade. In 2016 the Saletti family announced their retirement, and decided to close the restaurant. They also announced that they were selling the building back to the Carson Valley Inn. The casino wasn’t planning on reopening Fiona’s, however. We soon found out that the plan for the building that used to house their flagship restaurant was to demolish it and turn it into a parking lot. The demolition was carried out quickly. In March 2017, just weeks after Saletti’s had its grand farewell, the bulldozers pulled up to flatten the old restaurant. The building was 98 years old. 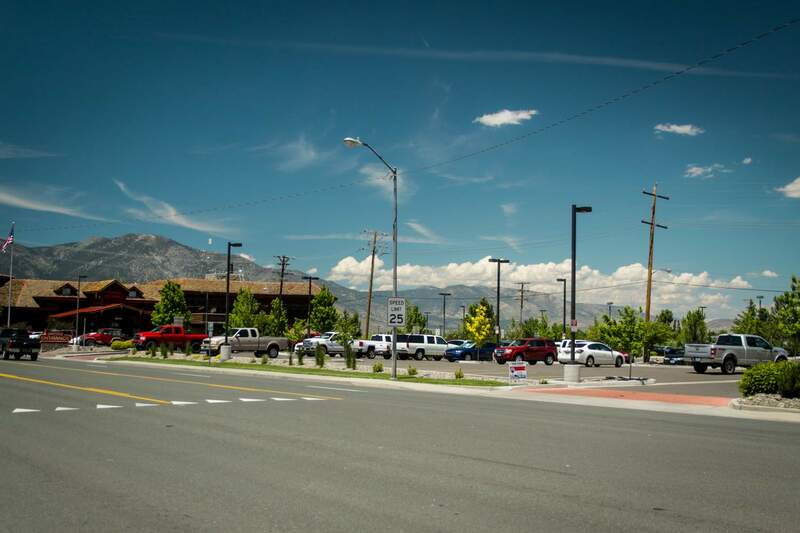 The site of Fiona’s, at the northwest corner of Hwy 395 and 7th Street, is now just more parking for the Carson Valley Inn. I’m not sure why this was necessary, since I’ve never seen the rear parking lot of the casino full to capacity. A piece of Minden’s history was lost, both the recent memory of those who had enjoyed the restaurants and a link back to the early days of Minden when it was an agricultural railroad town. Many of Minden’s other historic buildings have been renovated and saved over the last decade, but the Graunke Warehouse would not be so lucky. This view of Minden is dated around 1920. It looks southeast from the Union Oil Plant, located around where the Carson Valley Inn RV Park is today. On the left you can see a couple of white warehouses along with the flour mill silos. I believe the closest of those warehouses is the Graunke Warehouse, still shiny and new. This view of Fiona’s is dated around 1990 and comes from Wynne Maule’s book Minden: Story of a Unique Town. Much of the early history of the building recounted here also comes from that same book.